You are probably an expert at logically explaining your decisions. This is what you learned in school – don’t just write down an answer, you need to be able to explain your answer. Intuition is about knowing the right answer in your gut even though you can’t easily explain it. Parents come to me when they are struggling because something doesn’t feel right and they’re not sure which direction to go. I listen carefully, ask questions and then recap what I heard. They are often surprised with my conclusions even though I’ve simply pulled together what they have told me. For example, Steve called to talk about his concerns about his son’s relationship with his stepfather. He described the awkwardness when picking his son up from his mother’s house, a previous incident involving Child Protective Services, his son’s inappropriate touching behavior and many other details. After talking for an hour, I told Steve it sounded likely that his son was being sexually abused by the stepfather. Steve questioned this conclusion so I stated the multiple red flags he had shared which indicated a serious problem. Steve realized his desire to avoid this possibility prevented him from trusting that the fear he felt for his son’s safety was legitimate. Another example is Ashley who called to discuss her turmoil over their decision on having their son attend kindergarten at their local public school. While there was only a month left of the school year, they were considering putting him into a different school next year. Ashley loved that the school he attended was part of their community so they knew many of the families. Their community had also invested money into making this a beautiful school. However, she was concerned because her son was complaining about going to school. In fact, he hated going. There were a number of things that had gone poorly in his kindergarten year. She explained the various problems and then described how happy he was the one day he spent at this other school. Ashley voiced many concerns about switching schools. As I relayed back the key points she had told me, it became clear to her the other school was likely to be best for her son. It wasn’t the answer she wanted and so she discounted what her intuition was telling her. Listening to your intuition isn’t easy. 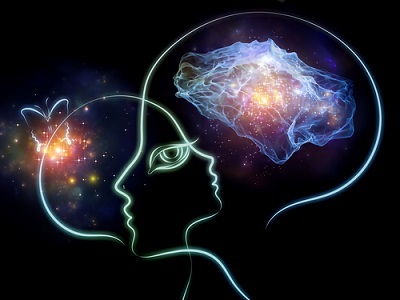 In his book The Gift of Fear Gavin de Becker says "We think conscious thought is somehow better, when in fact, intuition is soaring flight compared to the plodding of logic. ... Intuition is the journey from A to Z without stopping at any other letter along the way. It is knowing without knowing why." If you’ve ever said “I just knew” without knowing how you knew, you’ve used your intuition. Your intuition is able to pull together the millions of bits of information your brain collects every day into “the truth”. Does this sound too mysterious or weird? In The Gift of Fear de Becker writes "It may be hard to accept its importance, because intuition is usually looked upon by us thoughtful Western beings with contempt. It is often described as emotional, unreasonable, or inexplicable. Husbands chide their wives about 'feminine intuition' and don't take it seriously. If intuition is used by a woman to explain some choice she made or a concern she can't let go of, men roll their eyes and write it off. We much prefer logic, the grounded, explainable, unemotional thought process that ends in a supportable conclusion. In fact, Americans worship logic, even when it's wrong, and deny intuition, even when it's right. Whether you call it intuition or a gut feeling, everyone has access to this source of wisdom. Sometimes in order to follow your intuition you need to be able to convince others logically. I found myself in this situation when my daughter was making the decision on where to go to college. Her top choice had come through with no financial aid while some other great schools had offered scholarships. She really wanted to go to her top school. Many people, including my husband, encouraged her to follow her heart and go to that school. I had strong feelings of apprehension about her going to that school. Eventually I created a spreadsheet documenting the expenses for all her college choices over four years. The top school would have left her $83,000 in debt even after the generous contributions from her grandparents. Once I could show my daughter and husband the data, she reluctantly decided to go to a less expensive college. She ended up having a wonderful experience at college. 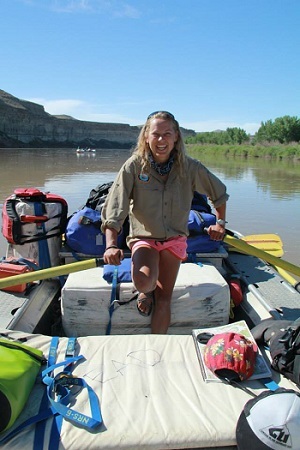 While she graduated with a degree in human physiology, she also fell in love with climbing and rafting through the school’s outdoor education program. She is currently living her dream of guiding rafting trips which she would not be able to do if she had to be making a better wage to pay off student loans. How can you become more in tune with your intuition? Take time to just be still. When you are quiet it is easier to hear what your gut is trying to tell you. What do you feel at your core is the right decision? Go with that even if you can’t rationalize exactly why it’s the best choice. Your gut feelings will steer you in the right direction.